Any further matters or queries may be clarified by the Chairperson of the Board of Management, Fr. James Butler, or Principal, Mr Niall Madden. St. Mary’s N.S. is a co-educational, Catholic primary school which strives to provide a well-ordered, secure, caring, happy and friendly learning environment where children, parents, teachers, ancillary staff and board of management work in partnerships, where each individual is valued, encouraged and respected for their uniqueness and facilitated to reach their full potential in a positive atmosphere. While St. Mary’s N.S. is a school with a Catholic ethos, it also has due recognition for all other religions. St. Mary’s N.S will strive to promote, both individually and collectively, the personal development of teachers through staff development programmes. St. Mary’s N.S. will encourage the involvement of parents through home / school contacts and through their involvement in the school’s Parents’ Association. St. Mary’s N.S. will endeavour to enhance the self-esteem of everyone in the school community, to imbue in the pupils respect for people and property and to encourage in them the idea of being responsible. St. Mary’s N.S. will promote gender equity amongst the teachers and pupils. Class sizes vary from year to year, depending on the number of children on roll. Classes may also be split to facilitate teacher – number ratios. The school depends on the grants provided by the DES and it operates within the regulations laid down, from time to time, by the Department. School policy has regard to the resources and funding available. Equality of access is the key value that determines the enrolment of children in our school. No child is refused admission for reasons of ethnicity, special educational needs, disability, language/accent, gender, status, religious/political beliefs & values, family or social circumstances. Pupils may only be enrolled from the age of 4 years and upwards, though compulsory attendance does not apply until 6 years of age. Parents seeking to enrol their child (ren) in St. Mary’s N.S. are requested to return a fully completed Enrolment Application Form (available in the office) with an original Birth/Adoption Certificate to the school. There is an enrolment week in the Spring term each year and this will be announced in parish newsletters, local notes in newspapers and letters to parents of children in the school. The names of children for whom Enrolment Application Forms and Birth/Adoption Forms have been returned will be placed on a class waiting list. Brothers and sisters of children already enrolled. Children whose current home address is closest to the school (as measured by a straight line on OS map) if the child is normally resident outside the parish/ school catchment area. As a general principle and in so far as is practicable having regard for the school’s Enrolment Policy, children will be enrolled on application, provided that there is a space available. In cases where it is not possible to enrol a child/ children, the Board will notify parents of their decision within 21 days of receiving such information as per Education Welfare Act, 2000. Where a Board of Management refuses to enrol a student in a school, the parent of the student following the conclusion of any appeal procedures at school level, has a statutory entitlement under section 29 of the Education Act (as amended by Section 4 of the Education (Miscellaneous Provisions) Act 2007, to appeal that decision to the Secretary General of the Department of Education and Science. A committee is established to hear the appeal with hearings conducted with a minimum of formality. In most cases appeals must be dealt with within 30 days. Where appropriate, the Secretary General may give whatever directions to the Board of Management that are considered necessary to remedy the matter complained of. Parents are directed to the DES website for details of procedure. The Principal and the Board of Management will prepare a response if and when an appeal is being investigated by the Dept of Education and Science. There is an information meeting for parents of children enrolling in Infants each June. The Board of Management specify that Junior Infants may only be admitted to the school up to and including 30th September. Pupils to all other classes may be admitted throughout the year. Following receipt of the report, the Board will assess how the school can meet the needs specified in the report. Where the Board deems that further resources are required, it will, prior to enrolment, request the Special Education Needs Organiser (NCSE see Circular 01/05) to provide the resources required to meet the needs of the child as outlined in the psychological and/or medical report. These resources may include for example, access to or the provision of any or a combination of the following: visiting teacher service, resource teacher for special needs, special needs assistant, specialised equipment or furniture, transport services or other. The school will meet with the parents of the child and with the SENO to discuss the child’s needs and the school’s suitability or capability in meeting those needs. Where necessary, a full case conference involving all parties will be held, which may include parents, principal, class teacher, learning support teacher, special class teacher, resource teacher for special needs, Special Educational Needs Organiser or psychologist, as appropriate. Where the Gardaí or Child and Family Agencies inform the school that admission of the student may be detrimental to the working of the school or to the Health and Safety of the school day / life e.g. to pupils, staff, school property etc.. The Board of Management reserves the right to defer enrolment if they believe the school cannot meet the needs of a particular child. Where the Board deems that further resources are required, it should, prior to enrolment, request the Department of Education and Science, to provide the resources required to meet the needs of the child as outlined in the psychological or medical report. These resources may include for example, access to or the provision of any combination of the following: visiting teacher service, resource teacher for special needs, special needs assistant, specialised equipment or furniture, transport services or other. The school will meet with the parents of the child to discuss the child’s needs and the schools suitability or capability in meeting those needs. Parents may be asked to complete a questionnaire outlining the pupil’s needs, likes, dislikes, areas of difficulty etc. If necessary, a full case conference involving all parties should be held, which may include parents, Class teacher, Principal, resource teacher for special needs, or psychologist as appropriate. The Board of Management also reserves the right to suspend or expel a child under ‘Health and Safety’ regulations and in conjunction with the school ‘Code of Behaviour’ and taking cognisance of relevant clauses in the Education Welfare Act 2000. All placements are subject to review at the request of the parents and/or the school. The review will include input from psychological services e.g. Lucena,, NEPSs, the parents/guardians, and the school. Following the review a recommendation may be made that the child be enrolled in a school that can meet his/her needs. 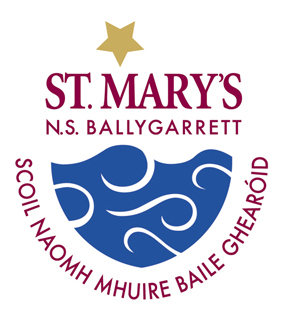 Pupils Transferring from another school to St. Mary’s N.S. Pupils may transfer to the school at any time, subject to policy and available space. The new school shall receive copies of all annual school reports plus an up to date report by the class teacher for the transferring child. The principal of St. Mary’s N.S. shall make a courtesy phone call to the principal of the transferring child’s new school. All children enrolled are expected to comply with and support the school’s Code of Behaviour, as well as the school’s designated policies on Curriculum, Organisation and Management. The Board of Management places parents/guardians responsible for ensuring that their child(ren) co-operate with the Code in an age-appropriate way. It is a condition of enrolment that parents accept our school’s Code of Behaviour and Bullying policies and should indicate their acceptance by signing these. These policies may be added to, and revised, from time to time. This Revised Enrolment Policy was ratified by the Board of Management of St. Mary’s N.S. on 2nd March 2016 and will be reviewed on an annual basis each June.